Blackhawks Defeat Wild: What Does Wednesday Night’s Victory Mean? The answer to the million-dollar question of “how much was Wednesday night’s dominating win worth?” is simply nothing. The Blackhawks picked up two points in the standings…. which puts them in the same 11th place they were in before the game. And, if the Blackhawks come out flat on Friday night against Columbus and lose, they could slide into a tie with the Jackets for nowhere-close-to-the-playoffs, essentially making Wednesday night’s effort a waste. Is that a little harsh? Perhaps. 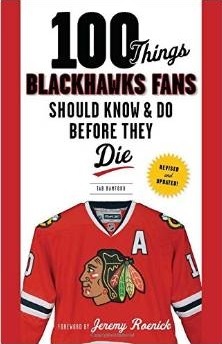 But with 25 games left in the season and being four points out of eighth place in the Western Conference, it’s the truth. Every game is a playoff game. With that in mind, though, there were a lot of great takeaways from the game last night. 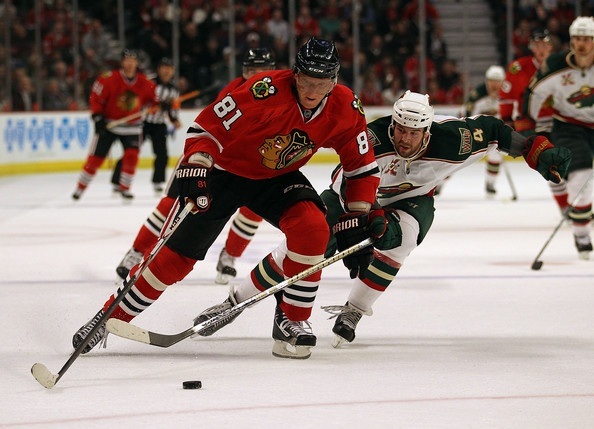 Marian Hossa played perhaps his best, most complete game since he started the season averaging a point-per-game. He skated 19:55, put five shots on goal, was credited with two assists, three hits and was plus-one on the night. He dominated, and that needs to happen consistently for the Hawks to make the playoffs. Three different Blackhawks scored goals last night – Troy Brouwer, Brian Campbell and Jake Dowell – and all three were assisted by Dave Bolland. Bolland, who went through an awful stretch in the early season and was hurt for some time, now has 25 points in his last 29 games. Brouwer, meanwhile, continues to be red hot. He has 11 points (six goals, five assists) in his last 13 games. He was credited with seven hits last night, taking him to 192 on the season (which ranks fifth in the NHL). His 33 points is on pace to easily surpass his previous career high of 40, established last year. His 17 goals are quietly approaching his career-best of 22 from last year as well. Corey Crawford stepped right back into the mix to be invited to Las Vegas for the NHL Awards banquet this summer with another stunning performance. He allowed just the one goal – on the power play – in the third period after stopping all 25 shots he faced in the first two periods (17 in the first). He is now tied for second in the NHL in goals against average (2.10) and is sixth in the league in save percentage (.923). He should be a finalist for both the Vezina and Calder Trophies this summer if he continues to put up games like last night. If the Blackhawks are going to make the playoffs, they’re going to need Hossa to dominate, Crawford to continue playing well and the secondary scorers like Bolland and Brouwer to continue making an impact. For Wednesday night to mean something, the Hawks need to repeat the performance on a regular basis between now and the beginning of April.